This is an ideal itinerary for the adventurous traveller or those who are second-time visitors to Madagascar and in search of more specialist wildlife. From Antananarivo, fly west to Morondava and travel north to Marofandilia, where you may see the illusive fossas or Madame Bethe's mouse lemurs in Kirindy Private Reserve. 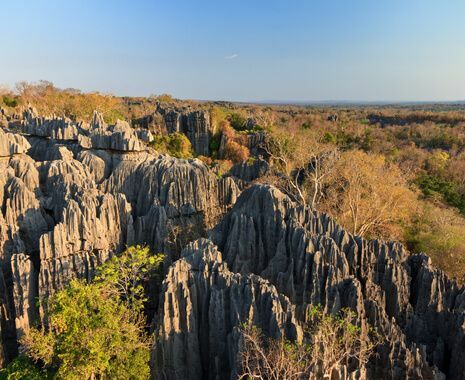 Continue on to Bekopaka, hike the tsingy, and perhaps spot locally endemic Sambirano lesser bamboo lemurs, Madagascar iguanas and Antsingy leaf chameleons. 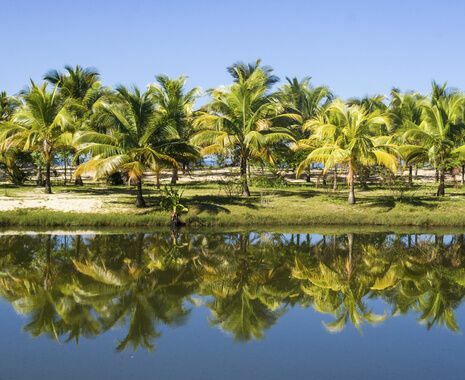 Return to Morondava via the baobab trees and then rest on the beach at Palissandre Côte Ouest Resort & Spa. The northern section of this programme covers Masoala National Park, an utterly unique ecosystem, home to an abundance of lemurs, reptiles, birds and butterflies. Masoala's forests are full of local endemics, including red-ruffed lemurs, Madagascar red owls and Madagascar serpent eagles. Continue to Nosy Magabe by boat and, if lucky, spot aye-aye lemurs.